The public agency is pushing for a poison pill that could derail environmental protections for our water supply. 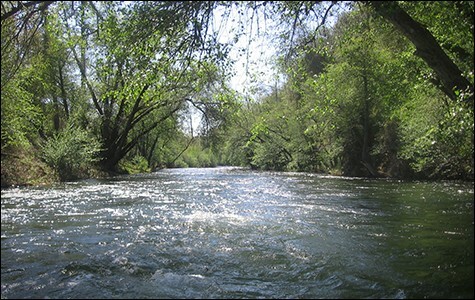 The East Bay MUD board voted to oppose wild and scenic status for the Mokelumne. East Bay residents drink some of the cleanest water in the nation — so clean, in fact, that if you live in Oakland, Berkeley, Alameda, or Richmond, there's no need to ever run your tap water through a filter or buy water in a bottle. The reason? 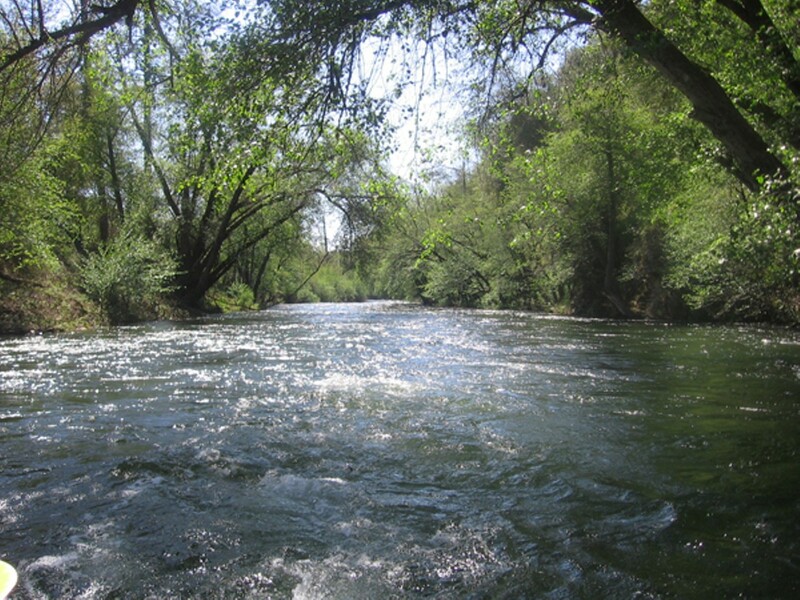 Our drinking water comes from the pristine Mokelumne River in the Sierra foothills. And over the years, environmental groups have been working to further safeguard the Mokelumne by establishing stricter environmental protections for the river. Specifically, they've been trying pass legislation in Sacramento that would declare a stretch of the Mokelumne — just above where our water comes from — as "wild and scenic." Such a designation would ensure that this section of the river receives full protection under state law. Right now, environmental groups are closer than ever to their goal. The state Senate is considering wild and scenic legislation for the Mokelumne in a bill — SB 1199 — authored by Democrat Loni Hancock of Berkeley. Hancock is being termed out of office this year, and so passage of SB 1199 would burnish her already sterling environmental legacy. But Hancock's bill is now facing an unlikely foe. Earlier this month, the East Bay Municipal Utility District's board of directors voted to oppose SB 1199 unless Hancock agrees to amend the bill. One of the reasons for the board's opposition is purely technical: The wild and scenic designation extends into a section of the Pardee Reservoir, which is where our freshwater supply is stored. Environmental groups and Hancock's office say they have no objections to amending the bill to change the wild and scenic boundary line to conform with East Bay MUD's specifications, and that they had never intended to infringe on the reservoir. In fact, a representative from the senator's office told me late last week that they had already devised new language for the bill and would officially amend the legislation this week. However, the senator does not know what to do about the board's second stated reason for opposing the bill — an objection that environmentalists say amounts to a poison pill. In a May 15 letter to the senator, East Bay MUD officials explained that the board majority wants a "stakeholder process," in which public agencies surrounding the Mokelumne would have a say in whether the wild and scenic designation goes forward. The problem? This area of California, which is commonly known within East Bay MUD as the "upcountry" region, is dominated by conservative Republicans who, as a rule, tend to oppose all environmental regulations. In fact, all but one of the public agencies in the upcountry area have already voted to oppose the wild and scenic designation. The agencies are also concerned that SB 1199 would block them from building new dams on tributaries to the Mokelumne. "It sounds to me like they want us all to achieve consensus" in favor of SB 1199, Chris Wright, a member of the Calaveras County Board of Supervisors, said of East Bay MUD board members. "But that's never going to happen." Calaveras County is the lone agency that has voted to support Hancock's bill. The county borders the Mokelumne to the north, and its economy is dependent on those who come to the area to hike, kayak, fish, swim, and go rafting — and so would benefit from extra protections on the river. Wright is an environmentalist who used to be the executive director of the Foothill Conservancy, a group that has led the wild and scenic campaign. The 4-2-1 opposition vote by the East Bay MUD board on May 13 also represented a striking turnaround. A few years ago, the board voted unanimously to support wild and scenic status for the Mokelumne. But this year, the only board members who voted to support SB 1199 were Doug Linney, who represents Alameda and portions of Oakland and San Leandro; Andy Katz, who represents North Oakland and Berkeley; and Lesa McIntosh, who represents portions of Contra Costa County, including Richmond. "I find it somewhat embarrassing that four years ago that this board voted unanimously for wild and scenic protection, but then the first time [Hancock] came in front of us with an actual bill, we opposed it," Linney said in an interview late last week. So what changed in four years? Back then, a majority of East Bay MUD board members, who represent hot and dry areas of the East Bay that use more freshwater, were still pushing to build a larger dam on the Mokelumne, so that the agency could expand Pardee Reservoir. Those board members — Katy Foulkes, William Patterson, John Coleman, and Frank Mellon — supported a wild and scenic designation for a small section of the Mokelumne as long as they could get their dam, too, and the extra freshwater that would come with it. But environmental groups, led by the Foothill Conservancy, strongly opposed the new dam proposal because it would have destroyed a scenic one-mile section of the Mokelumne. They filed a lawsuit to stop it, and they won in 2011 when a judge ruled that East Bay MUD had failed to adequately examine an alternative proposal: partnering with the Contra Costa Water District on its plan to expand Los Vaqueros Reservoir in the East Bay. That proposal is more environmentally friendly because it does not involve ruining a section of pristine river. Ultimately, the East Bay MUD board majority voted to pursue the partnership with the Contra Costa Water District and tabled its plan for the new dam on the Mokelumne. But some environmentalists quietly believe that the board majority and key East Bay MUD staffers have not completely given up on the Mokelumne dam idea — and that's why they now oppose SB 1199 and included the poison pill "stakeholder process" requirement. The wild and scenic designation boundary line in Hancock's bill includes a section of the river that would have been destroyed by the new dam and expanded reservoir. And so passage of SB 1199 would likely be the final nail in the coffin for the Mokelumne dam idea. East Bay MUD spokesperson Abby Figueroa and legislative manager Marlaigne Dumaine, who is the district's point person on the legislation, were on vacation and not available for comment late last week about SB 1199. The agency's letter to Hancock does not mention the Mokelumne dam; rather, it emphasizes the importance that East Bay MUD places on maintaining its "relationships" with its upcountry "partners," in explaining the need for a stakeholder process. This rationale, however, also represents a stark turnaround for East Bay MUD. Four years ago, when the agency and the board majority were plowing forward with the dam proposal, they completely ignored their upcountry brethren. Back then, most of the public agencies whose jurisdictions touch the Mokelumne opposed the dam proposal, mostly because they were concerned about the expanded reservoir's potential impact on their water rights. Yet, the board majority voted to go forward with the dam proposal anyway.